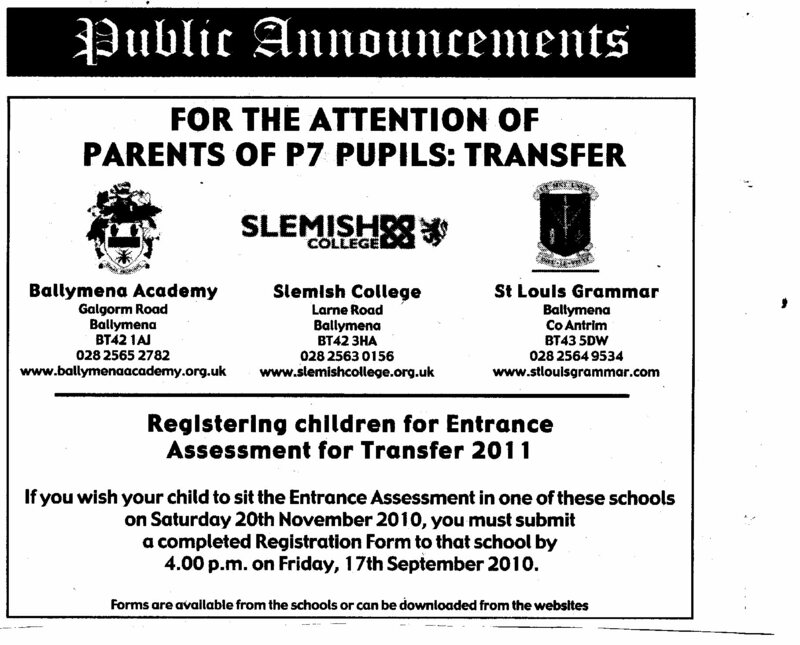 Since the introduction of the “unregulated” transfer tests there has been a frensy of activity by those opposed to parental choice in attempting to raise stress and anxiety before results day. Much airtime and column inches in the media is devoted to this predictable charade which is aimed at attacking the very principle of parental choice. PaceNI are delighted to announce a solution for all those political, media and educationalists who have been unable to deliver their ideological promise of a comprehensive education system for Northern Ireland. It is conventional in medical practice that when a patient has been treated for malignancy with the best possible combination of available therapies and absent any evidence of recurrence or persistent disease they are told they have been cured of the cancer. A cure means that treatment has successfully eradicated all traces of a person’s cancer, and the cancer will never recur (return). A cure does not mean, however, that the person will never have cancer again. It is possible that another cancer, even the same type of cancer, will develop in the person’s body at some point in the future. 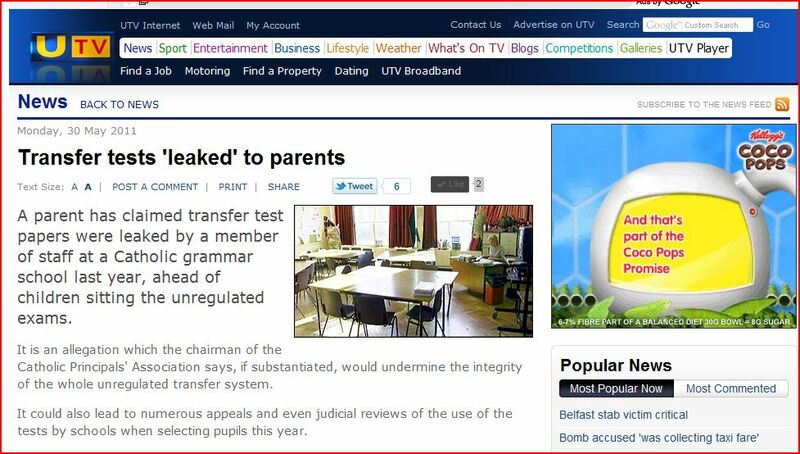 In testing terms, the same can be said of the 11-plus trasfer tests in Northern Ireland. So long as parents demand that politicians keep out of the issue then pupils will have access to a choice which will suit their individual needs. It is meaningless to refer to ability independent of tests. Children don’t have ability independent of testing no matter what the ill-informed anti-selection advocates will tell you. 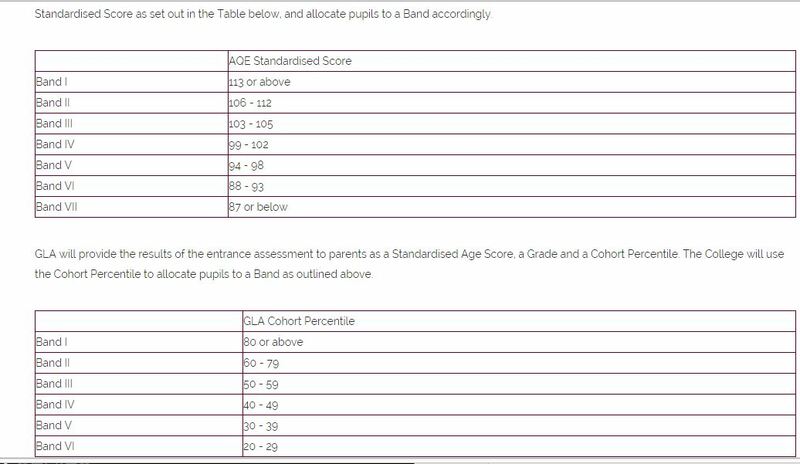 If pupils are taught to the test (bear in mind that GL Assessment have questions that are IQ test questions which are not appropriate) then the tests are measures of attainment in mathematics and English/Irish. If primary school teachers teach to the test they are assisting in delivering equity. The effect of additional out of school coaching is therefore minimised. If primary school teachers fail to teach to the test then the curriculum, as it stands, damages the life chances of the poor and disadvantaged. 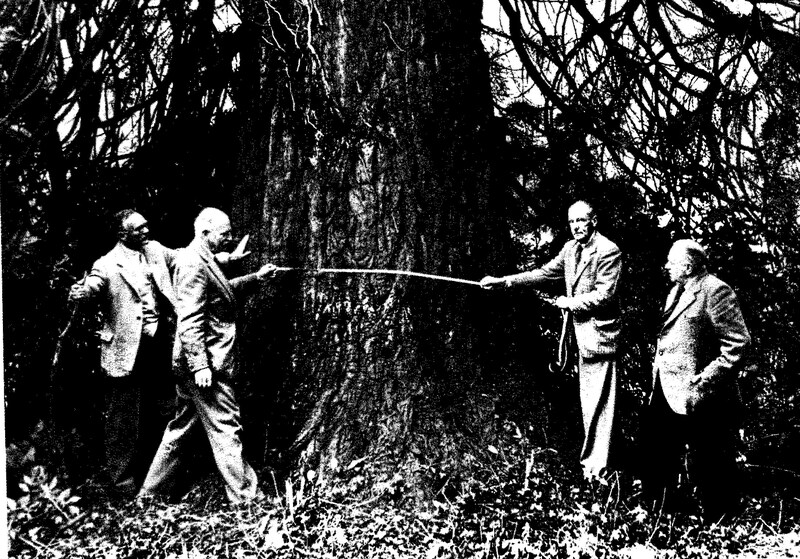 Absent such teaching it is little wonder there is widespread underachievemnt. It is important to ask a simple question – Who are pupils and teachers accountable to? 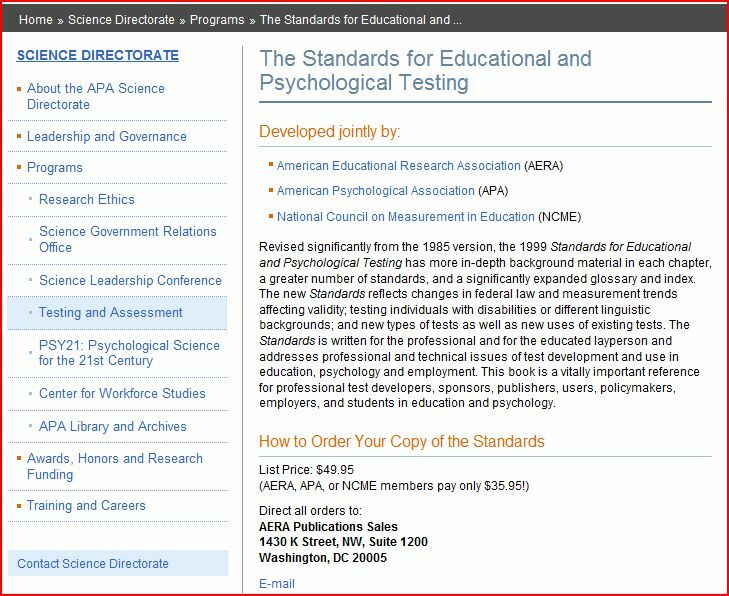 (1) Department of Education theorists and the Inspectorate. The answer will always remain the same – parents. Where transfer testing is concerned the evidence is clear despite the efforts of opponents to mischaracterise the issue. Parental demand for the tests has risen, not declined. 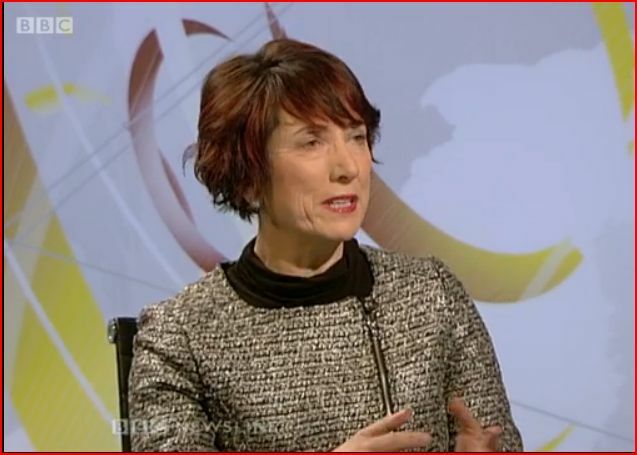 There have been no successful legal actions despite the promise of Caitriona Ruane. 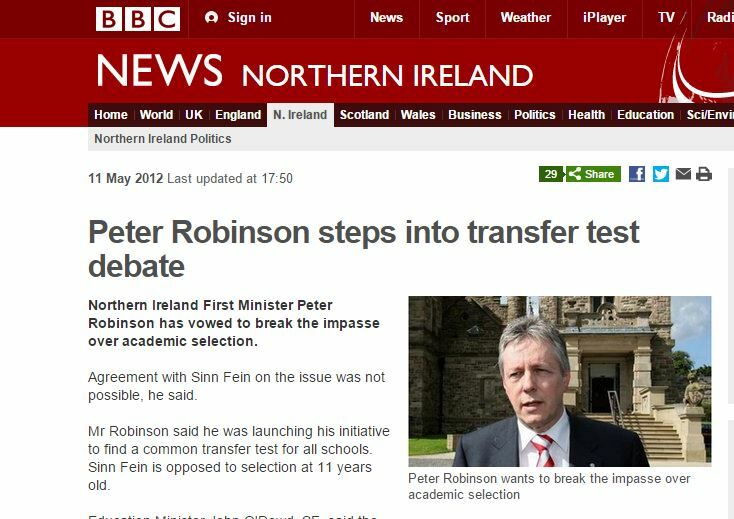 The idea of a “Holy Grail” single test has been tossed out by politicians,including Peter Robinson, but cannot be delvered since the real outcome desired by the Catholic Church is to end all testing – a nightmare for getting votes. The return of transfer testing to an anti-selection DENI under the control of CCEA would result in an end of testing in a short time. This would allow the Catholic authorities to achieve their goal of ending selection, not in their own right, but by ending parental choice for everyone. A “Win-Win” in the eyes of other anti-grammar groups but clearly something that they have been unable to achieve in principle or practice for their sector alone. 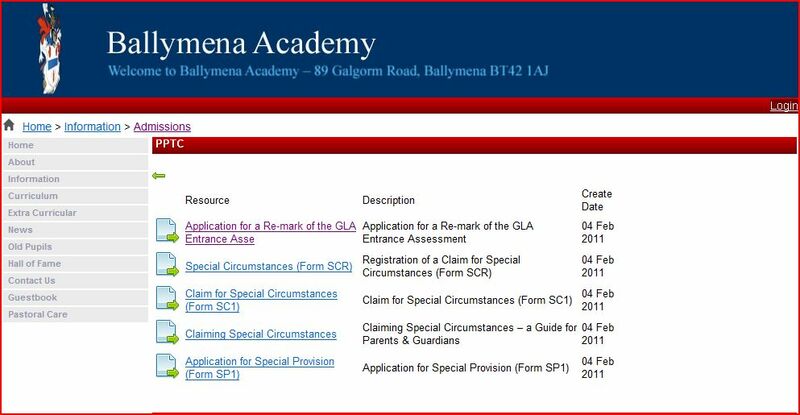 The Parental Alliance for Choice in Education has been contacted by parents over the weekend concerned and upset that their child has received (1) a wrong results/mark and (2) wrong gender and date of birth information. This affects the PPTC and GL Assessment tests. This is not the first time the GL Assessment multiple choice, computer marked assessment offered by the Post Primary Transfer Consortium has come in for criticism. Previous problems include leaked tests, the source of funding and technical errors with the use of Optical Mark Reader (OMR) machines. 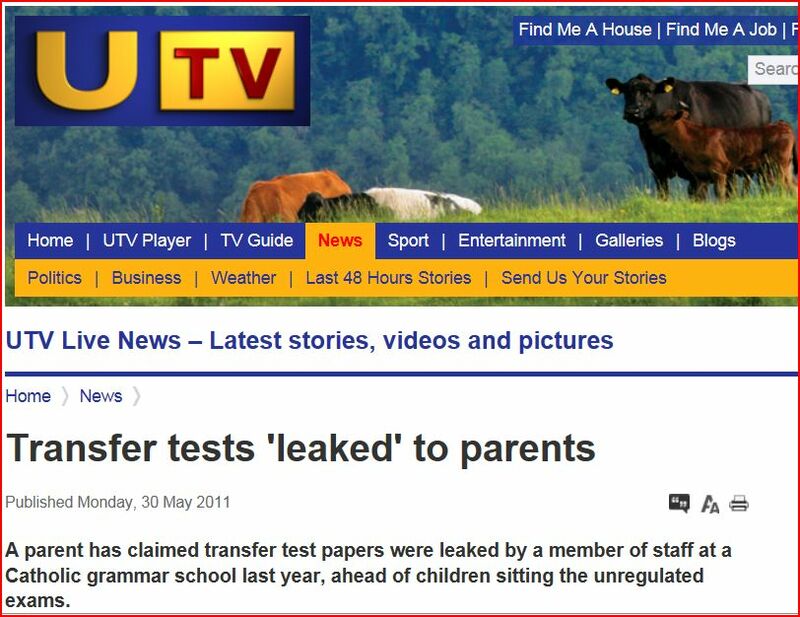 A parent has claimed transfer test papers were leaked by a member of staff at a Catholic grammar school last year, ahead of children sitting the unregulated exams. if substantiated, this would undermine the integrity of the whole unregulated transfer system. Previous concerns were raised over the funding behind the provision of the PPTC “free test”. An FOI by PaceNI uncovered the fact that the GL Assessment were being paid by the PPTC via “parental contributions” It was never made clear how parents were solicited to make these contributions.